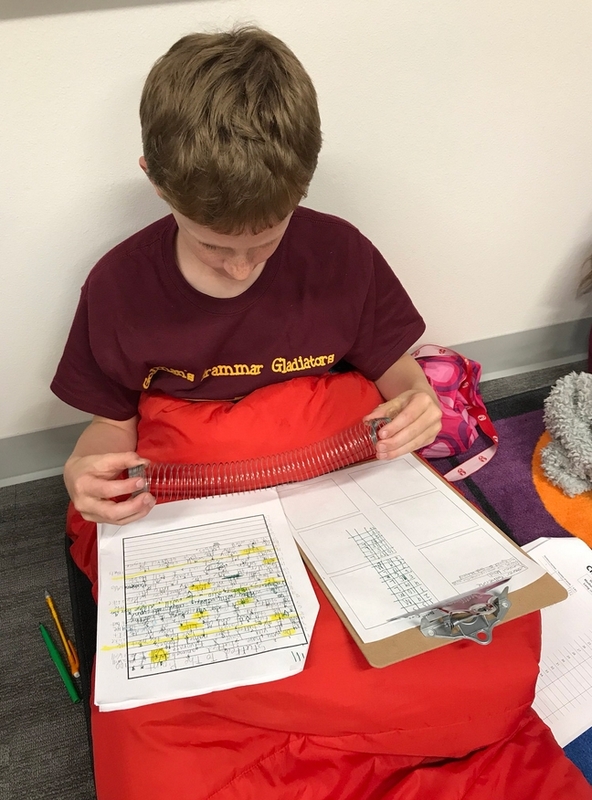 Using a mentor text, show students how to gauge the different lengths of sentences by stretching a Slinky. As you read through the text, stretch the Slinky based on the number of words in each sentence. 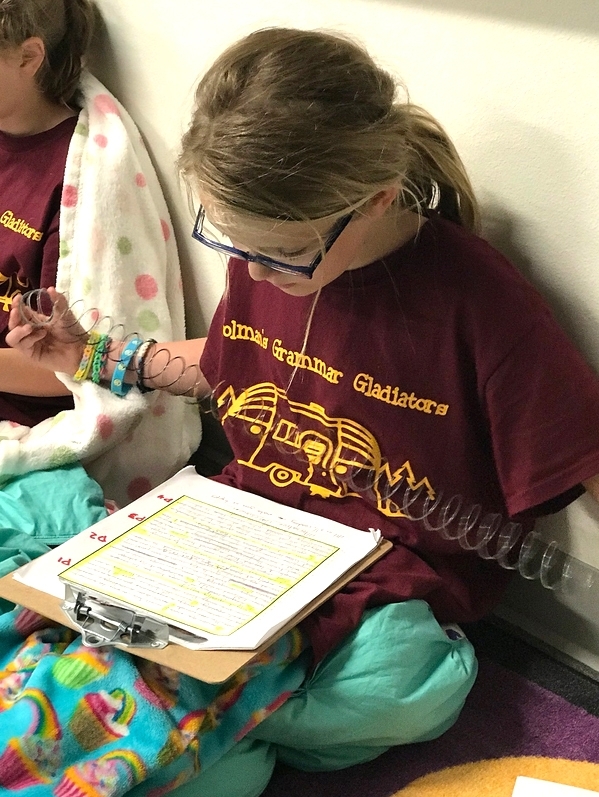 Let the students see how the Slinky moves as the sentence length varies. 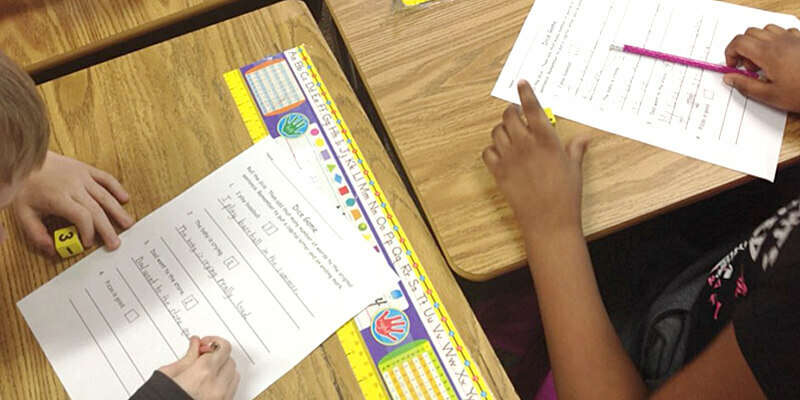 Apply the Slinky Test to student drafts. They will likely discover their sentences are all "medium" in length and they aren't able to move the Slinky very often. Who wants to hold a Slinky without moving it? 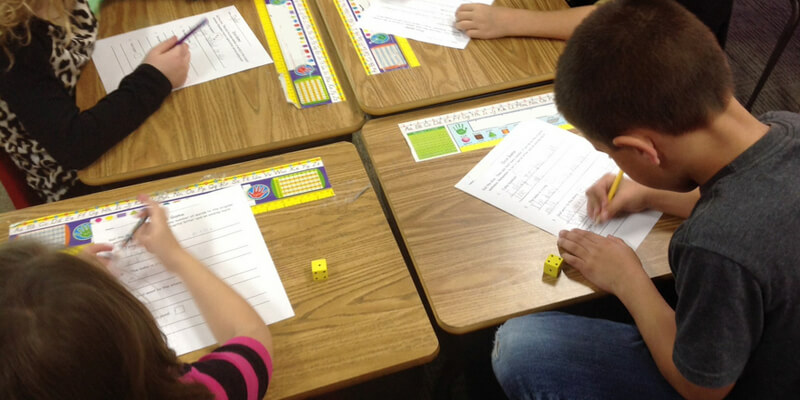 The goal of this activity is to help students realize that readers require that same kind of engagement and change. Just like holding a Slinky and wanting to stretch and compress it, readers welcome different sentence lengths. The Slinky test is a good starting point, but eventually reveal when writers should utilize a short sentence and when they should insert a longer one. This gets at the heart of sentence fluency. Changing up the number of words in a sentence affects the way a piece is read. It creates cadence and rhythm. Sentence fluency is all about how the writing sounds. Determining the number of words for each sentence provides the undercurrent for the tone and message. Depending on the writing mode or genre, the writer can create a certain effect. 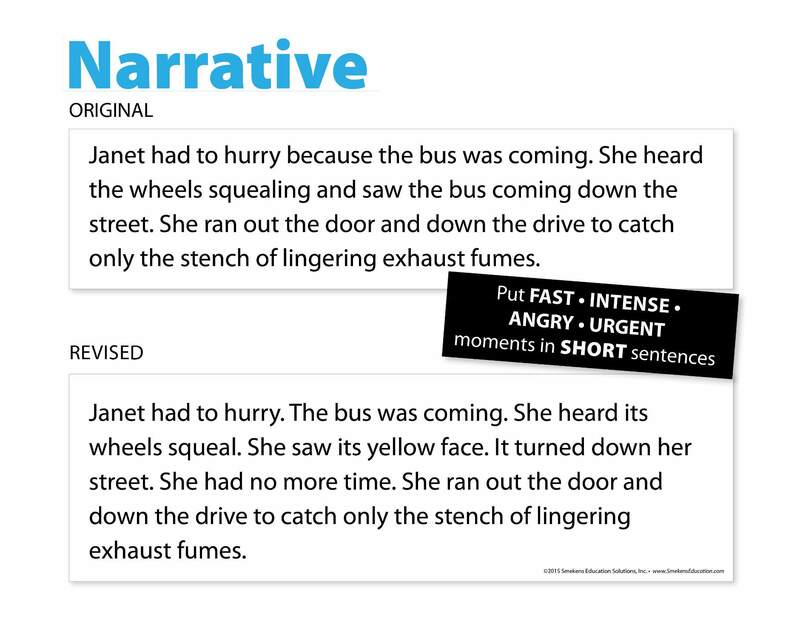 In narrative writing, short sentences are great for fast or intense action, angry characters, or urgent situations. 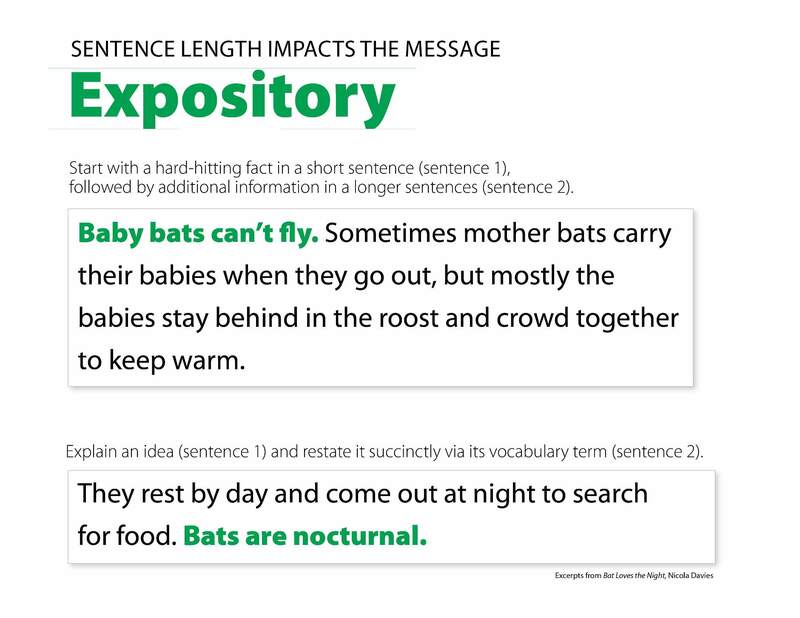 Consequently, during those situations in their writing, students need to stack several short sentences one after another. Clarify that an entire piece of short sentences would be too much. 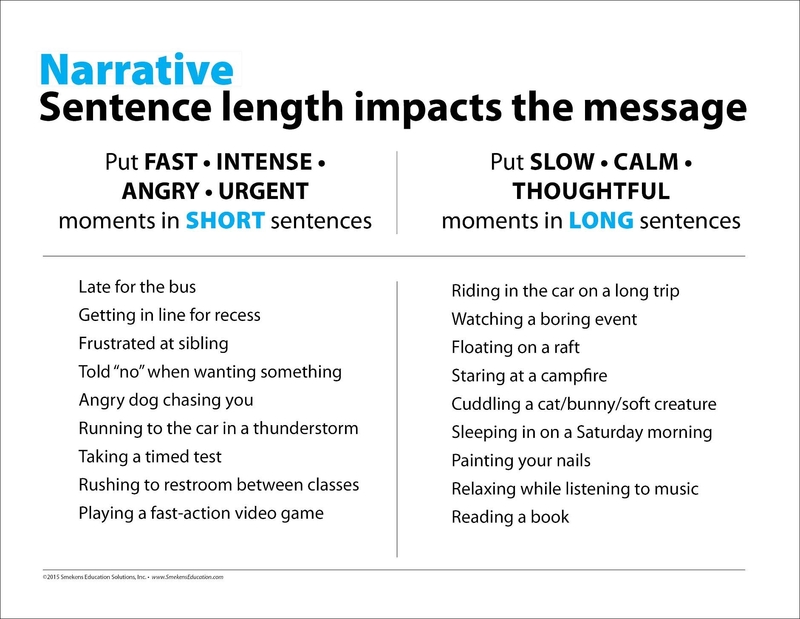 Therefore, insert longer sentences for slow action, calm moments, or thoughtful insights in between. Remember that the power of sentence fluency is how the writing sounds. It's the auditory trait. Although there may be nothing grammatically wrong with an early draft, it may sound better stacked in short sentences or stretched into a longer sentence. 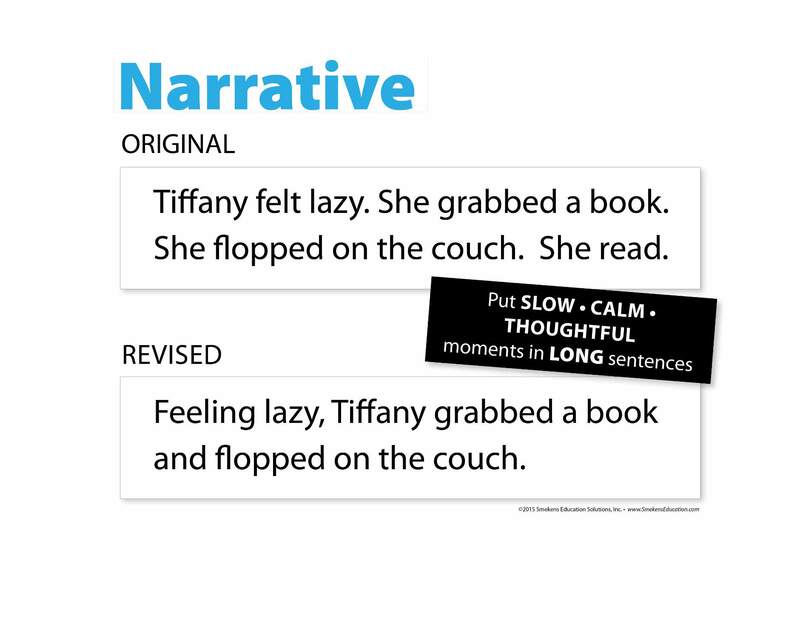 Introduce the idea of intentional sentence length first in narratives. 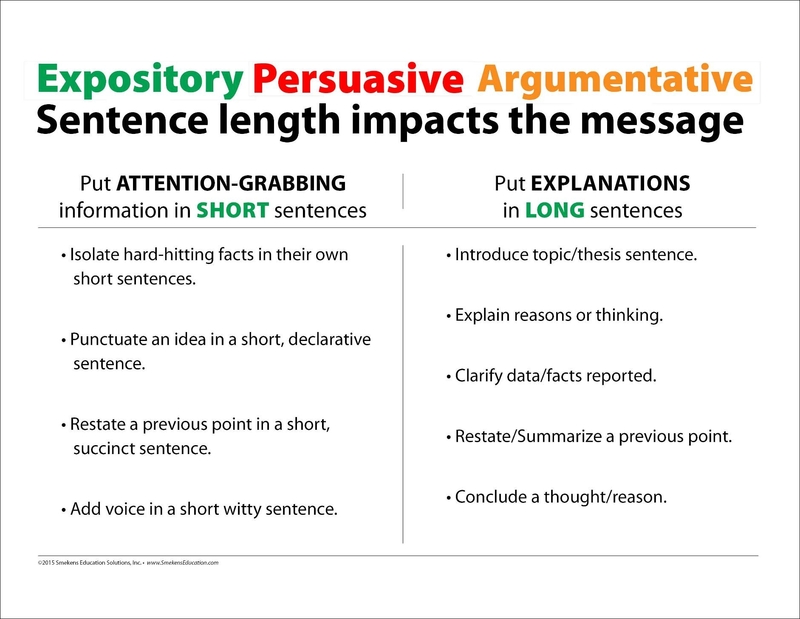 Then apply it within revision of informative, persuasive, and argumentative writing as well. These additional modes follow similar purposes. Think of what this will mean for your students' paragraph writing. 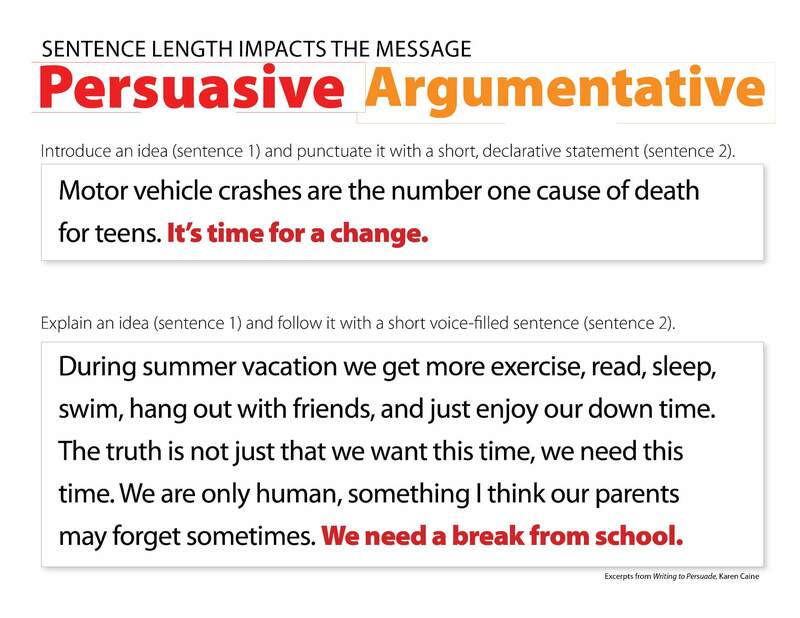 Their topic sentences will be longer, followed by shorter factual sentences, and rounded out with longer concluding statements. This naturally produces great sentence-length variety within paragraphs. 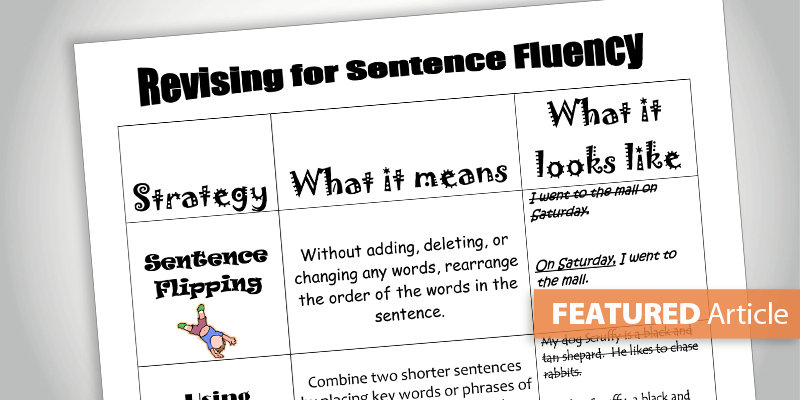 When planning sentence fluency instruction, first work on the sentence part of sentence fluency by varying sentence lengths. 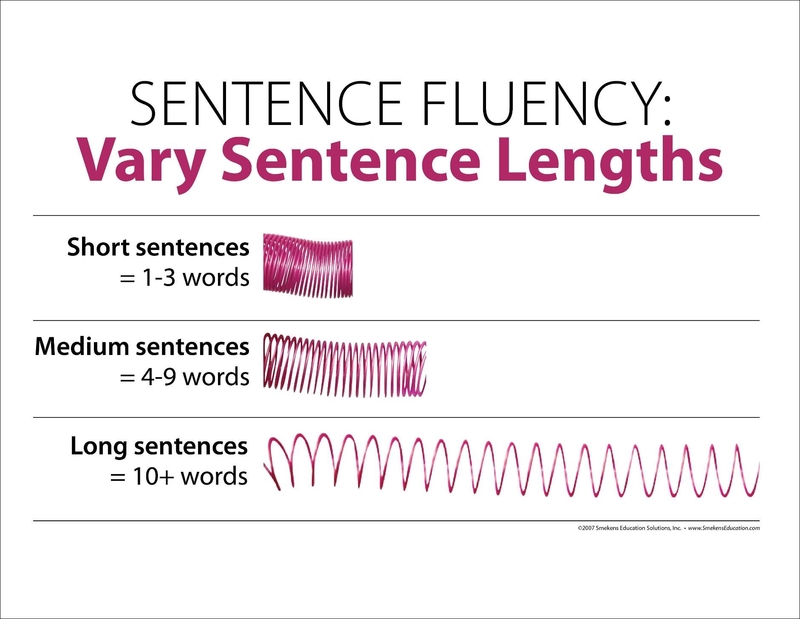 Then move to the more sophisticated facet of fluency by applying intentional sentence lengths to different modes and genres. 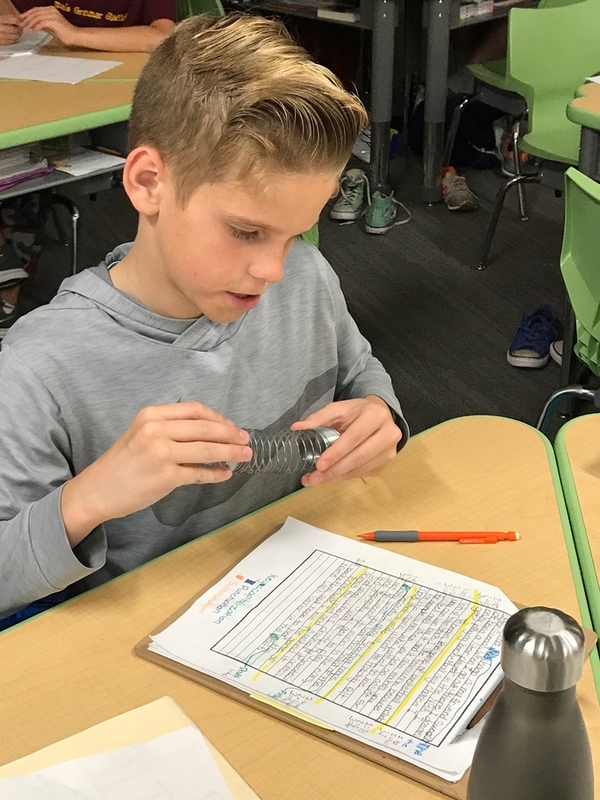 Lauren Golman, 4th grade teacher at University Park Elementary (Dallas, TX) shared pictures of her students demonstrating the Slinky test in action--revising for sentence fluency using a concrete trigger.